Just as the ladybird consumes aphids that would otherwise destroy a plant, so Safire will take care of you. It’s a win-win symbiotic relationship. Committed, focused, dedicated. Taking care of your needs. Protecting you from harm. Safire Insurance Company. 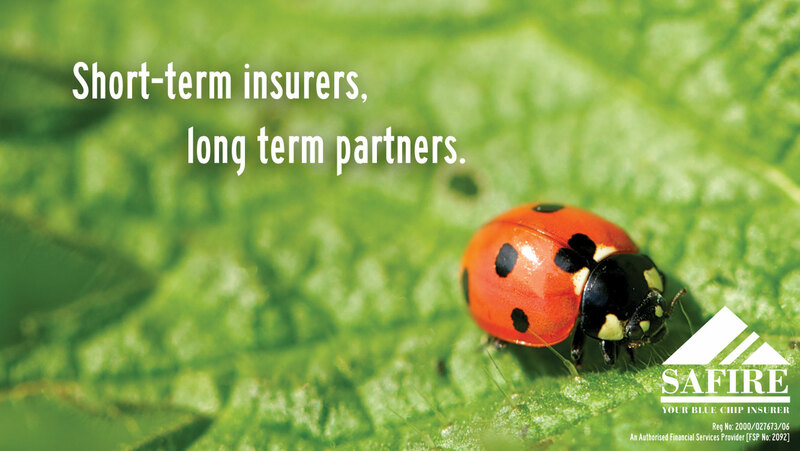 Short-term insurers, long term partners.